A clear takeaway from over 100 client side meetings repeatedly reinforces an insight. Those marketers are very concerned and apprehensive about the direction in which the world is heading. 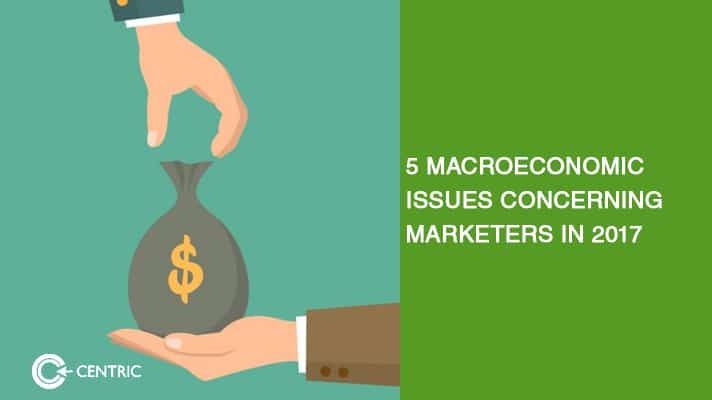 I have narrowed down the macroeconomic issues concerning marketers into five categories, all of which are admittedly outside of our control and can only be responded to. The election of Trump has ushered in protection for global leaders to lean towards their protectionist tendencies. In a world that prides itself on being free market and pro-capitalism, protectionism is the hypocritical illegitimate child of a response to the weak economic performance. Even though the IMF’s chief economist has warned governments against policies around populism and protectionism, few have truly followed through with Australia being the latest in developed nations scrapping skilled-foreign-worker visas. Similar to H-1B visa in the US, the 457 visa in Australia will be replaced by a temporary visa in an effort to ensure locals are prioritised for domestic jobs. This is one of the most pressing macroeconomic issues concerning marketers, particularly those assigned to growth divisions. Marketers are concerned that their ability to enter new markets will be challenged by policies that favour local manufacturers over those entering from the outside. The same can be said for France, Germany, and the Netherlands, all of which are poised to elect candidates that lean to the right and towards potentially damaging protectionist policies. Marketers are concerned with the costs of good sold and the variables employed for pricing are set to drastically shift for the worse, as the Brexit saga continues to create a surge of uncertainty for equities, currencies, investment, and the European economy as a whole. As a result, marketers have paused their EU expansion tactics and product roll outs, preferring to wait and watch. Markets will suffer if either European Central Bank (ECB) or the Bank of England (BOE) pull the plug on quantitative easing (QE). From US$ 6 trillion to US$ 18 trillion, the policy that has increased the balance sheets of the world’s largest central banks in the last eight years. The diminishing returns, however, could mean that the ECB and the BOE will be prepared to take measures that tighten the short-term strategy. Marketers are concerned with the impact this will have exports and purchasing power parity, placing impulse products at as much risk as big ticket items. One of the most pressing macroeconomic issues concerning marketers is the increasingly inefficacious outcome of monetary policy. This has led many to recommend an expansionary policy instead of a contractionary one, leaning on the former to boost purchasing power and government spending. Marketers that had launched new products on the basis of low-cost commodities have shown concern about the pricing being employed for their SKU’s, and we have advised them towards value-based pricing instead for long term gains. Thanks for reading. We can only do so much as marketers, and the key differentiator between winners and losers is knowing how quickly to respond to change as well as circumstances outside our control. 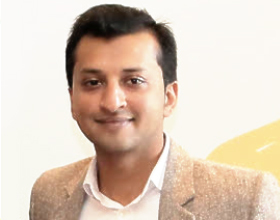 If you would like a deeper dive, reach me on babar.khan@centric.ae to schedule a session pertaining to your industry.